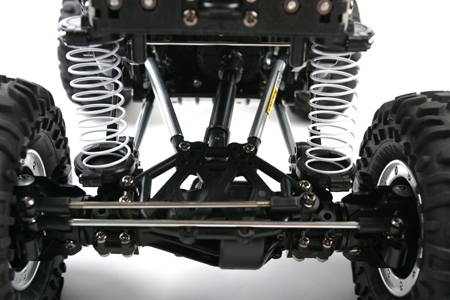 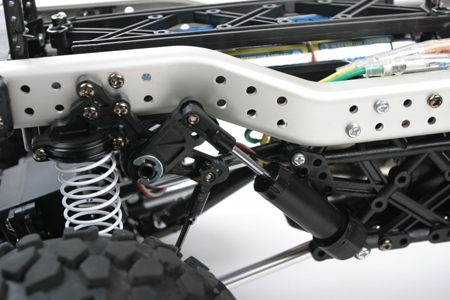 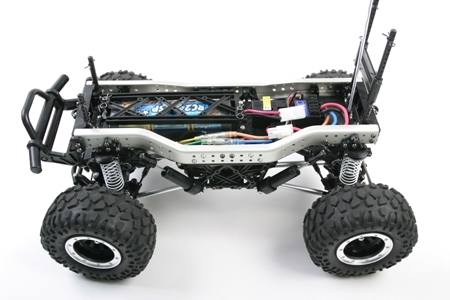 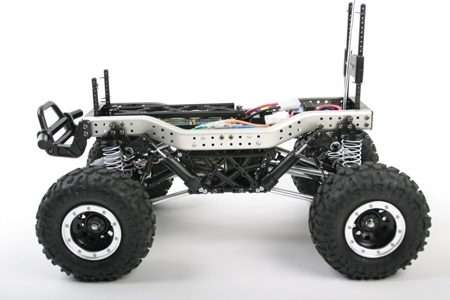 R/C fans have long been modifying their machines into rock crawlers. 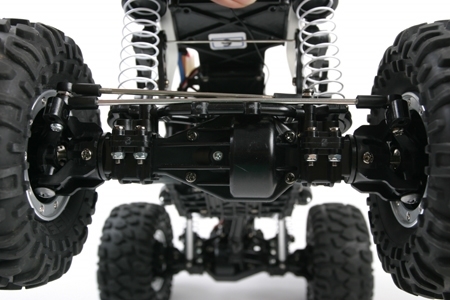 Tamiya has followed this growing segment with interest and we are now proud to present to you the fruits of our research. 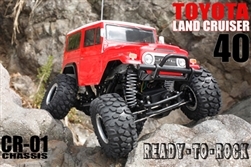 This new crawler features a true-to-scale Toyota Land Cruiser 40 body made from lightweight polycarbonate mounted on an all-new CR-01 chassis and is literally ready to rock.